If you’re in the IT business, your future is cloudy, that’s for sure. That’s because sooner or later, you are almost certainly going to end up using some kind of cloud computing solution. It might be public cloud, private cloud, hybrid cloud, IaaS, PaaS or SaaS, but I can almost guarantee that in the future you’ll be going “to the cloud.” In fact, you might be using some form of cloud service in your datacenters right now – even if you don’t think of it as such. Most of you have probably heard the term “hybrid cloud” – but do you really know what it means? 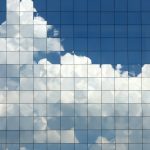 Many people think of hybrid cloud as the combination of a private and a public cloud, and indeed, that’s a common version – but it’s not the only one. Hybrid cloud is defined by NIST as a system that includes two or more clouds. One might be a private cloud and one might be a public cloud, or one might be a Microsoft public cloud and the second might be an Amazon public cloud. The key here is that it doesn’t have to be only private cloud + public cloud. However, given the fact that very few organizations have a real private cloud, what do you call it when the organization wants to connect its current virtualization infrastructure or datacenter to a public cloud offering? I’m going to refer to it as “Hybrid IT”. In this case, you don’t need a real cloud on premises. You just connect your traditional on-premises datacenter to a public cloud offering. You can move applications in your current datacenter into a public cloud, thus freeing up datacenter resources for other projects that might not be good candidates for placement in a public cloud. You can “burst” into the public cloud. What this means is that during those times of the year when you need extra resources for a short, well-defined period of time, you don’t need to spend money on new hardware for your datacenter that might go unused after the busy period is over. Instead, you can just stand up some new virtual machines in the public cloud and run the time-limited application on those. When you’re finished with the project, you can simply decommission the virtual machines. This means you only have to pay for what you use and you don’t end up with a lot of costs invested in infrastructure that you might only use for a few weeks in the course of a year. Legacy applications can be moved to the public cloud IaaS. There are a number of reasons you would do this, such as not having the original source code or installation media. You can do a P2V (physical-to-virtual process to migrate a physical server’s OS, applications and data to a VM) and then create new virtual machines in the public cloud IaaS offering. The foregoing scenarios can help you with your capacity planning, reduce the time required to get an application into production, and can even reduce your total cost of ownership for the application. Also, if you use public cloud IaaS, you can take advantage of your current investments in monitoring and security controls, and apply the same controls that you are currently using on premises. We’ve been waiting a long time for it, but Microsoft now has an Infrastructure as a Service offering called Azure Infrastructure Services (the customer preview version was called Azure Virtual Machines and Virtual Networks). It was released to general availability in mid-April. Azure Infrastructure Services enables you to create virtual machines on the Azure infrastructure in a way that’s similar to the method by which you create virtual machines on premises. You can install both Windows and non-Windows operating systems (Linux) in Azure Infrastructure Services VMs and you can install your applications on these machines. You can also create something called an Azure Infrastructure Services Virtual Network and connect that network to your on-premises datacenter. The Azure Infrastructure Services Virtual Network connects to your datacenter using a site to site VPN connection. I’ve run the numbers on Azure Infrastructure Services and those calculations indicate that, depending on your deployment, you can end up saving a lot of money compared to running your own virtualization infrastructure. Azure Infrastructure Services is also very easy to use. If you have light requirements, you can use the Azure Infrastructure Services portal to create and manage your virtual machines and virtual networks. If you plan on larger deployments in Azure Infrastructure Services, then you’ll probably want to use PowerShell to help automate some tasks. And if you’re planning on going “all in” with Azure Infrastructure Services, then you can create your own portals and solutions using the REST (Representational State Transfer) APIs that have been made available by Microsoft. Before you jump head first into the Azure Infrastructure Services waters, you’ll want to make sure you do things in a very deliberate and mindful fashion. If this is your first foray into the cloud, you need to take care to make sure your cloud infrastructure doesn’t just “grow that way” the way your current on-premises datacenter might have done. This is an opportunity to make your IT infrastructure “lean and mean” so that it can be the model of a well architected datacenter that you always wanted, but just couldn’t seem to accomplish. How will you address business continuity? How does your hybrid IT infrastructure work with your current business continuity plans? What might you need to change in order to integrate the Azure Infrastructure Services infrastructure with your business continuity plans? Hybrid IT is likely going to lead to some consolidation of your hardware, network, management and monitoring systems, and software stacks. How will you handle this consolidation? What will you consolidate first, and what might you not consolidate? How will you extend your monitoring, security and management systems into the cloud? Are these applications tolerant of jitter and latency? If so, are there any mitigations, such as putting some of those systems or components of those systems into the Azure Infrastructure Services infrastructure? How will you find personnel with cloud experience to deploy and run your new hybrid infrastructure? Will you hire new people with this experience, or will you train your own people and run proof of concept deployments so that they can gain the requisite cloud experience? How will you leverage Azure Infrastructure Services in your disaster recovery plan? Will you use Azure Infrastructure Services as a disaster recovery site in the event that your on-premises datacenters become unavailable? How will you approach this? How will you handle the security issues that are inherent in public cloud computing? Will you put all of your applications in the public cloud? Probably not. Will you start with low business impact applications? This is more likely. Think about how you will assess applications for candidacy for placement in the Azure Infrastructure Services cloud and the expected order and timeframes of deployment. Start with a self-assessment. Gather information about your network and applications so that you have a holistic view of your infrastructure. This will make it much easier to answer the questions you’ll ask when you start connecting your on-premises infrastructure to the Azure Infrastructure Services. After you complete your self-assessment, the next step is to start learning about Azure Infrastructure Services and hybrid IT principles and operations. You’ll want to discover whether there are any valuable patterns that have been shared by the community and you’ll want to learn how the system works and perhaps come up with your own patterns that the community might adopt. When you have a good understanding of hybrid IT and Azure Infrastructure Services, you will be ready to begin the design process. There are many different options available to you, but you need to select the options that enable your specific requirements. You also need to understand what limitations you might place on yourself if you select a particular option, because often it’s you’ll discover that two options can be mutually exclusive. After you complete your design, you’ll be ready to get started with a pilot project. You’ll want to stand up the virtual machines, create the virtual networks, and connect the Azure Infrastructure Services virtual network to your on-premises network. Then you’ll want to instantiate your applications on the new virtual machines and see how things work. Finally, once everything is set up and working, you’ll want to be able to manage your hybrid infrastructure. You need to determine which tools you will use to manage and monitor both sides of the hybrid IT solution. We will cover each of the areas discussed above in subsequent installments of this article series. By the time we finish the series, you will have a good understanding of what’s required to begin your trek into Hybrid IT and we hope you’ll be able to avoid making mistakes that you might have otherwise made. See you then! –Deb.